We take live comedy to previously impossible places at a fare price! 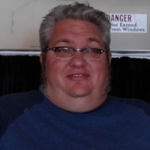 Mike Frankovich is a Comedian and Voice Actor. He served in the U.S. Navy on the U.S.S. Abraham Lincoln and ran NoHo Scooters in North Hollywood until 2011. Mike began performing stand up comedy in Los Angeles in 2012 and is known for his big booming voice and spot on Rodney Dangerfield impersonation. Mike Frankovich also played Horace Graham in Dusty Trice’s short film “Macaroni Necklaces”. Mike lives in Pasadena with his daughter Ava. For more about Mike, visit http://www.frankovich.com. 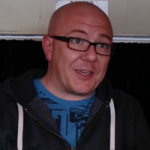 Dusty Trice is a Writer/Director/Comedian living in the Los Angeles area. 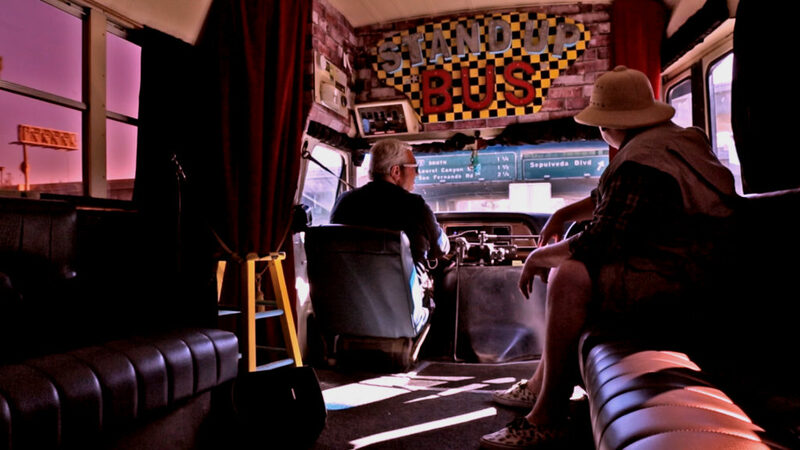 He wrote a couple screenplays, co-created the Stand Up Bus and directed the short film “Macaroni Necklaces”. Dusty was a political staffer for 15 years. He started performing stand-up comedy at night at the Comedy Zone in Charlotte, NC, while working days at the 2012 DNC Convention. Now he writes fart jokes, so things obviously worked out great. Dusty has just completed his first mystery novel. For more about Dusty, visit http://DustyTrice.com. 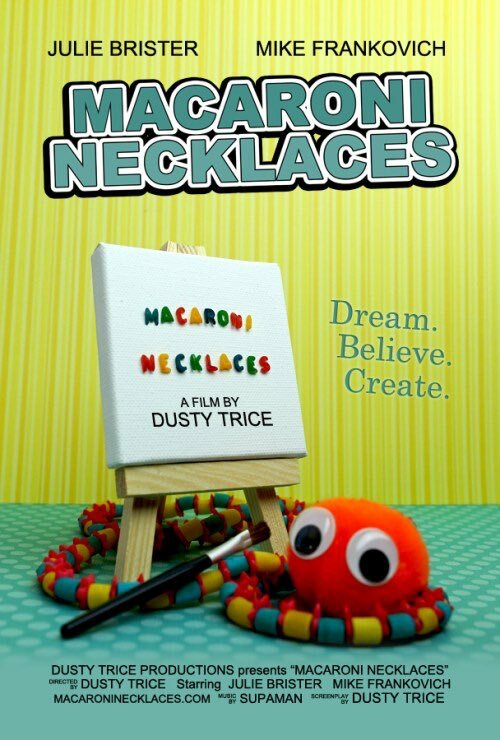 Watch Dusty Trice's NEW short film "Macaroni Necklaces"!